Accurate distance in the blink of an eye. 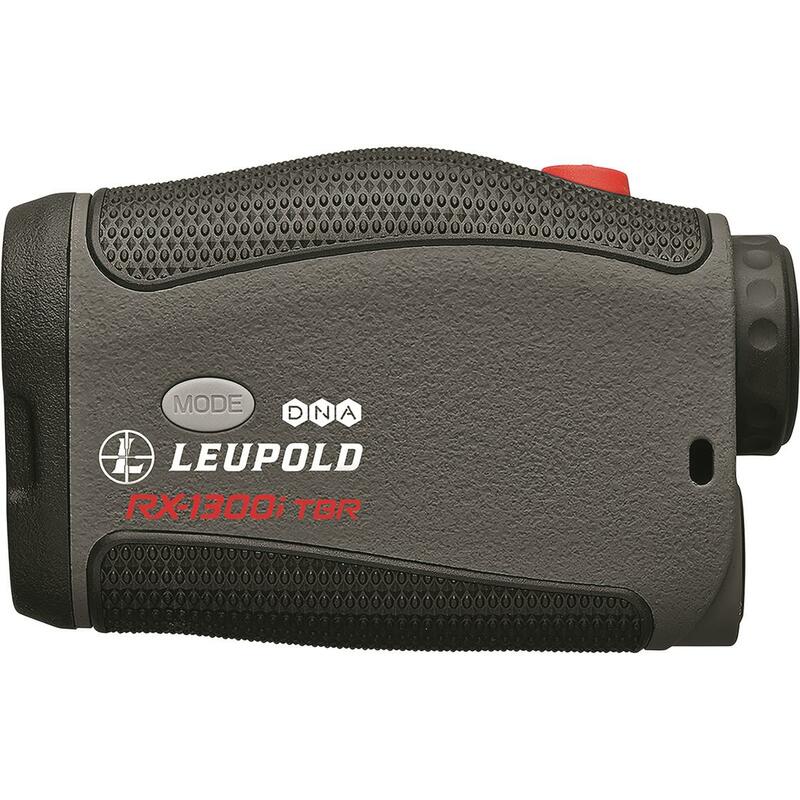 Your on-target choice for upgraded features is the Leupold® RX-1300i TBR with DNA® Laser Rangefinder. Maximum distance range is a whopping 1,300 yards with accuracy improved to under a yard. 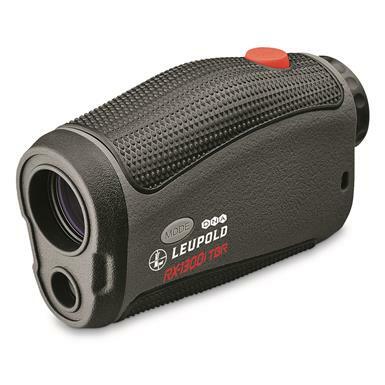 Powerful 6x magnification will pull you in close and the generous field of view will allow you to easily scan for roaming bucks. Digitally eNhanced AccuracyTM (DNA) uses additional signal processing techniques to achieve better ranging distance and more accurate rangefinding. True Ballistic Range® (TBR) combines distance, angle and ballistic information for more accuracy, especially on inclines and declines. Maximum Distance Reading: 1,300 yds. Dimensions: 4" x 1.3" x 2.5"